Wrapping up another year inevitably means sitting down to the task of goal setting for the year ahead. 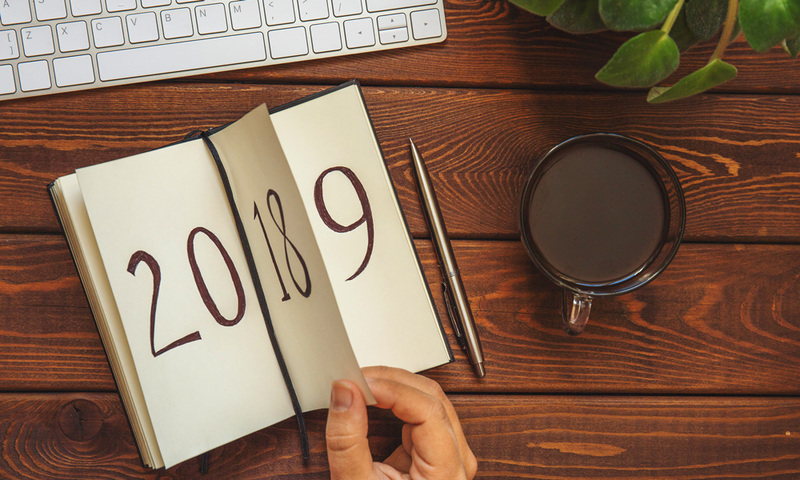 In addition to the same old KPIs that measure your PR and marketing success year after year, set a few concrete goals sure to put your organization in a better position for 2019 and beyond. 2018 brought its share of PR gaffes and disasters, from CEO social media outbursts to offensive ad campaigns, each of which had the potential to cause significant reputational harm. The way an organization responds to a crisis is critical to maintaining positive public perception. Brands caught off guard without a plan in place don’t often have the time to put together a well-thought out statement. Instead, they release a clumsy apology, a dismissive message — or even worse, respond with deafening silence — which can end up damaging their reputation even further. The only way to mitigate that risk is to have a crisis communication plan. Think through a list of your most likely crisis scenarios and create messaging to address each situation. Identify your crisis team and clarify each person’s roles and responsibilities: Who will monitor social media for backlash? Who will respond to reporters? If you already have a crisis plan, dust it off at the beginning of every year and make sure it’s updated with the latest crisis team member info, likely scenarios and messaging. Business and communication are constantly evolving, and the once-defined disciplines of PR, marketing, advertising and social media are blending together more than ever. Being a communicator today requires a greater breadth of knowledge and understanding about business, media, the digital landscape and more. Take the opportunity to step out of your comfort zone and learn a new skill in 2019. If PR is your bread and butter, broaden your skillset by reading up on SEO. If you’re a social media guru, enroll in a writing course to sharpen your content creation capabilities. Follow communication blogs to learn about new technologies and trends that shape our industry today. Absorb, learn and consider how you can apply your knowledge to your marketing strategy and tactics in the new year. Cultivating your leadership ability is a worthy endeavor no matter where you are in your career. Developing as a leader will help you position yourself, your team, your department and your organization successfully. If you’re just starting out as a communications professional, become a leader of your own domain. Don’t be a worker bee, crossing tasks off your to-do list and waiting for the next assignment. Look for opportunities to improve and add value to the work you do every day, like researching new tools to improve your digital marketing efforts, or creating an executable plan to increase your organization’s social media engagement. If you’re already a leader within your organization, focus on becoming a thought leader in your industry. A thought leadership campaign will boost your organization’s visibility and help you establish credibility as a voice of authority in your line of work. Devote some time to thought leadership to build a following and position yourself as a voice worth listening to in 2019. What are your 2019 communication resolutions?